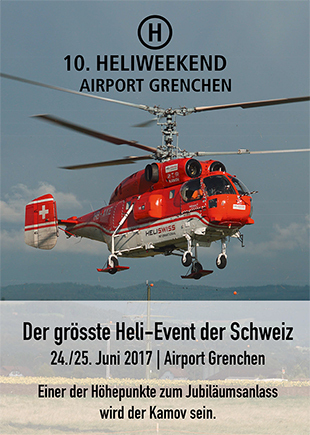 On the 23rd till 25th of June 2017 the tenth, spectacular Jubilee-Heli-Weekend will take place at Grenchen Airport. The largest helicopter meeting in Grenchen! 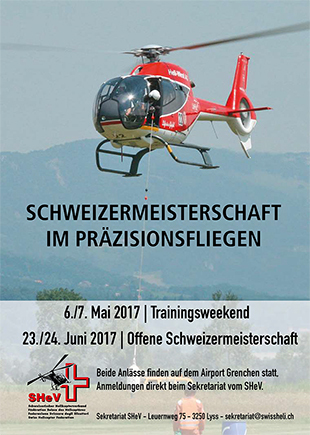 All interested helicopter pilots, helicopter fans and spectators are warmly invited. Write it in your diary straight away! 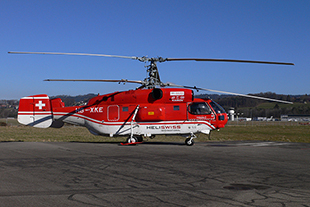 Helicopter tours with Heli-West Ltd.
tel. +41 (0)32 396 96 96. Western Airport Hotel is looking forward to your visit. Or call +41 (0)32 654 70 70.